Despite deteriorating security conditions and growing challenges that hinder efforts to aid Yemen’s beleaguered civilian population, International Medical Corps remains active in the country. We continue to provide live-saving humanitarian assistance there, as we have since first arriving during calmer times in 2012 with the mission to help reduce chronic malnutrition and treat acute malnutrition among young children and nursing and pregnant women. In Sana’a Governorate, International Medical Corps operates two of its five nutrition-stabilization centers in Yemen, treating an average of 15 children at each location at one time. Nutrition Program Manager Samuel Mbuto says that the children usually remain at the center for an average of eight days before transferring to an out-patient program, where treatment continues. Between January and September 2018, not one death has been reported among the 71 girls and 69 boys treated at the two centers. Yemeni mother Om Saleh can attest to that. A proud mother of twins—a boy and a girl—born in August 2017, she became concerned when her daughter, Intissar, struggled with diarrhea and vomiting after transitioning from breast to bottle feeding. 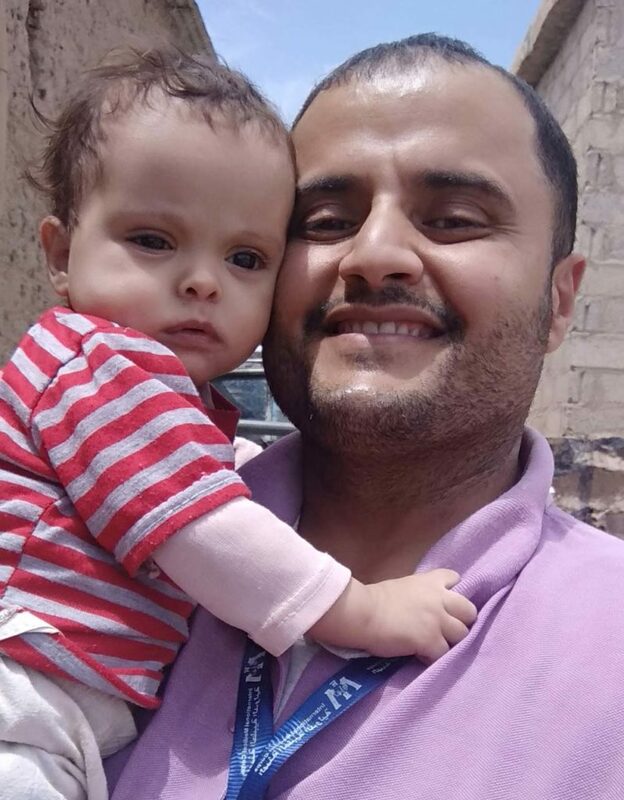 Worried about losing their daughter, the baby’s father decided to take Intissar to our stabilization center in the village of Al Dorah, in Jehana district. When the seven-month-old arrived, she weighed just 3.9 kg (about 8 pounds, 9 ounces)—a size considered normal for newborns in most developed countries. Intissar’s father told International Medical Corps staff that several people in their home village who had observed his daughter’s improvement asked about the treatment. When he told them that it had all been provided free of charge, other children from the village began showing up at the center.